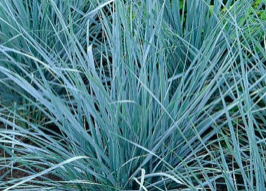 Blue wheat grass from Chile/Argentina is perhaps the bluest grass that we can grow. 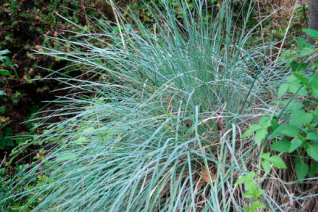 Clump forming ultra blue upright then arching grass that is good looking all the time. 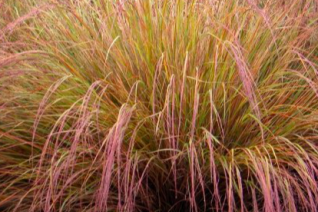 It virtually glows in a landscape provided rich, well-drained soil in full sun with regular and consistent summer moisture. Does not like to dry out and conversely it resents a boggy situation. 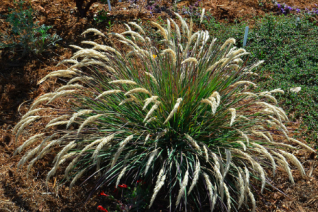 To 20″ tall and forming a clump almost as wide. Great performance in containers. Loves the Oregon coast. 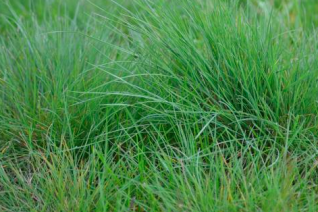 Do not cut back wholesale- instead tidy by removing tattered, discolored leaves in early spring. Avoid reflected heat. Moderate deer resistance. 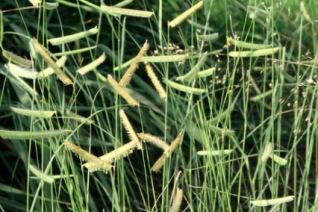 Fairy Grass is an Oregon native that forms bright green fine clumps but is in its glory in bloom when tall vertical stems display hazy tan flowers at the tips. 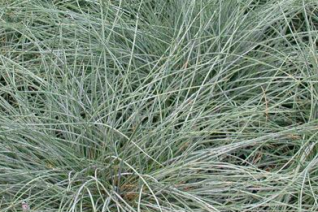 Easy to grow grass that improves under cultivation. 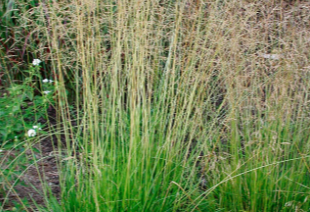 Native to semi-shady to sunny aspects in rich soil that drains but also retains moisture. Adaptable to wet sites that dry in summer. 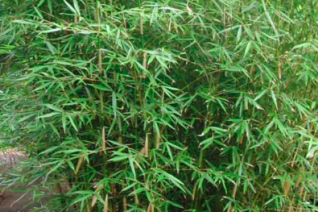 To 10″ x 1′ as a clump of foliage but rises to 3′ tall in bloom. 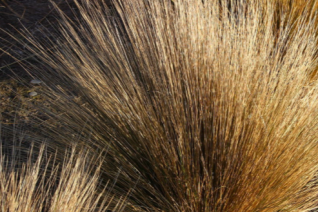 Very wild looking grass that can be massed for a hazy meadow effect, or placed in straight lines a modern aesthetic that combines a wild plant with spaced symmetry. Excellent among shrubs and with other wild looking meadow perennials. Winter deciduous. Cut back dead growth in spring. Relatively long lived. Oregon native plant.